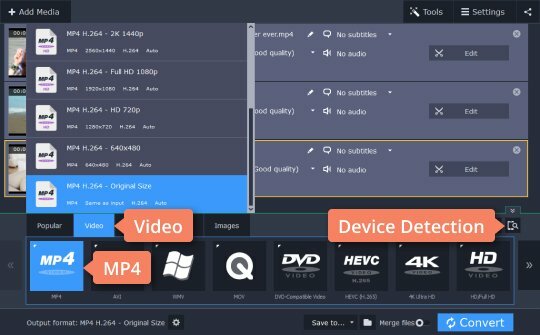 Looking for an MXF-to-MP4 converter? What is MXF format? MXF is short for Material Exchange Format, which is used by professional recording devices to store digital video and audio. Unfortunately, this format may not be easy to open on a computer or mobile device. If it won't, you’d better convert MXF to MP4, MOV (QuickTime Video), AVI, WMV, or another popular video format. To do this, you’ll need the appropriate conversion software. 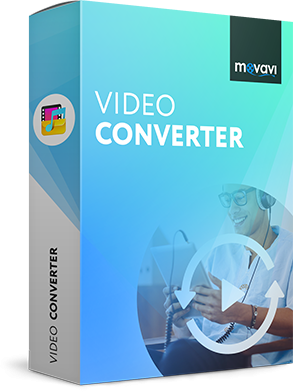 We recommend you use Movavi Video Converter – with this multi-function, easy-to-use program, converting MXF files is as simple as it can be. Just download the appropriate version of the program for Windows or Mac and follow the short guide below. Run the file you’ve just downloaded and follow the on-screen installation instructions. 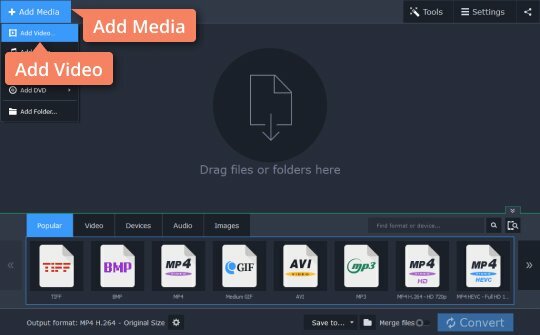 Launch the MXF to MP4 converter and click the Add Media button and then Add Video. Select one or more MXF files to convert to another format. Click on the Video tab and choose the desired output video format. If you want to convert an MXF file for viewing on a mobile device, open the Devices tab and find the appropriate preset for your device. You can do a quick search by entering the target format or device into the search bar. The best way to select the appropriate preset is by connecting your device to the system and clicking the Cell Phone icon. Click the Folder icon and choose the destination folder for your converted file(s); you can stay with the default folder or change to a different one. 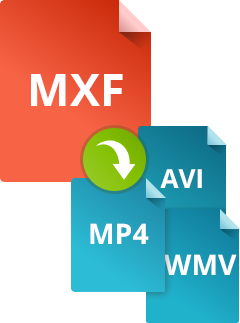 To start converting your files from MXF to MP4, click Convert. 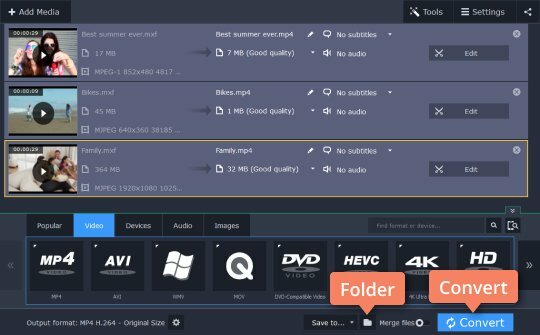 Try Movavi Video Converter for yourself and you’ll see why it’s the optimal choice for an MXF file converter!